An anxious dog can be difficult to raise. He may cower when visitors arrive or lightening and thunder that have him diving under the bed. Sometimes, anxiety leads to destructive behaviour, urinating or defecating in the house or aggression. 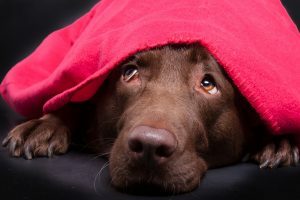 Regardless of what it is that makes your dog anxious, as a pet owner it is your responsibility to help him through his anxiety and to help him feel safe and confident. The following training tips will help you to begin the process. Expose your dog to what he is afraid of in a safe and controlled way, and then reward confidence either by praising him or giving a treat. Remember to ignore unwanted behaviour and do not punish him for his fear. 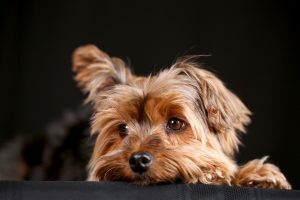 Desensitising your dog to what he is fearful of will help him feel more in control, but the key is to do this gradually. The more your dog is safely exposed to the thing that frightens him, the more opportunity he will have to be rehabilitated. Dogs are very sensitive to the emotions of those around them, therefore it is important that you stay calm and confident during the process. 5. Professional help with his anxiety. If you find that your dog is struggling to make progress, consult with a professional trainer or behaviourist.